It feels like getting back to bed after a long day. 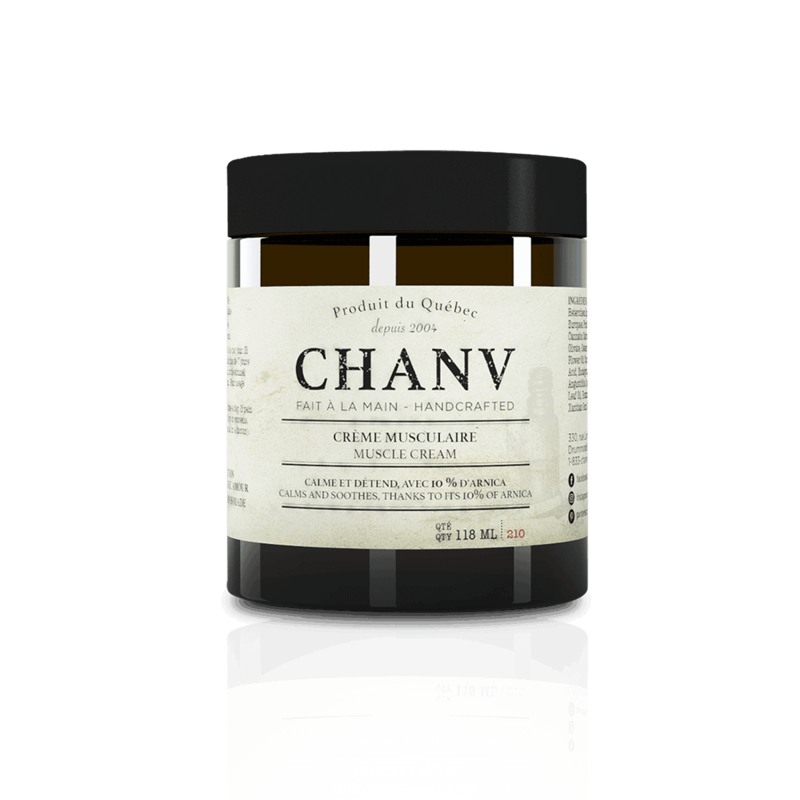 CHANV Muscular Cream creates a state of relaxation in the muscles and soothes the pain away. It feels like getting back to bed after a long day. As a topical care, CHANV Muscle Cream helps to create a state of relaxation in the muscles and soothes the pain away. This arnica cream is enhanced by essential oils specially selected for their anti-inflammatory properties. Physical relaxation on demand, just for you. The regenerating properties of the Arnica Mexicana flower’s essential oil are due to the strong presence of flavonoids that diminish and calm inflammations, thus bringing soothing properties. The clove essential oil is a painkiller. The clove essential oil is rich in eugenol and thus has powerful antalgic properties. Effective for soothing aching muscles after intense physical activity, Balsam Copaiba essential oil is highly anti-inflammatory. It relieves tendon, joint and muscle problems. Menthol is used for its anti-inflammatory and anesthetic properties as it relieves muscle pain. Lavender essential oil is soothing and calming. Wintergreen essential oil is certainly the best muscle and joint painkiller. Its analgesic and anti-inflammatory properties also soothe cramps and contractures. The rosemary essential oil relieves muscular pains.